Celebrate the rare natural beauty of Chicago, Illinois and the Midwest with Mike’s breathtaking collection of over 200 fine art prints. His limited edition prints feature sublime Illinois and Midwest landscapes, excellent for corporate art collections and as soothing healthcare art in medical settings. This remarkable print collection celebrates stunning everyday scenes of the prairie, Illinois’s colorful natural scenery, and the gentle feel of the Midwest. Our high-quality Chicago Nature Series™ note cards are excellent for everyday use or we can custom print them with your personal message to be used as personalized corporate Christmas cards, thank you cards, and invitations. Get noticed and show your clients that you care by sending our one-of-a-kind Chicago nature cards for Christmas. “My Journey into the Wilds of Chicago: A Celebration of Chicagoland’s Startling Natural Wonders” is a culmination of 21 years of photography. It is a coffee table photography book is filled with over 200 wondrous images of Chicago’s majestic landscapes and natural wonders, but that’s not all. 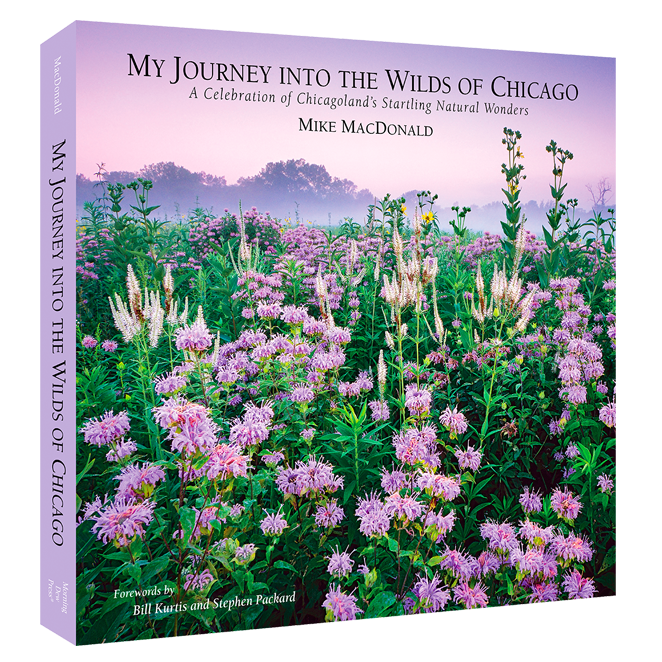 This big, luxurious, 240-page volume is complete with educational information, inspirational storytelling, and tours of two dozen of Chicago’s finest nature preserves. Through Creative Eye Workshops™ in Downers Grove, Illinois, Mike has created a comprehensive curriculum of beginning digital photography classes and advanced landscape photography workshops. Practical and efficient, our classes are thoughtfully designed to accommodate people with busy schedules by offering short, manageable courses instead of long extended ones. Unlike many photography courses that confuse students with loads of information, we teach you what you need to know when you need to know it. We focus on the fundamentals and, just as important, Mike works to build your confidence. 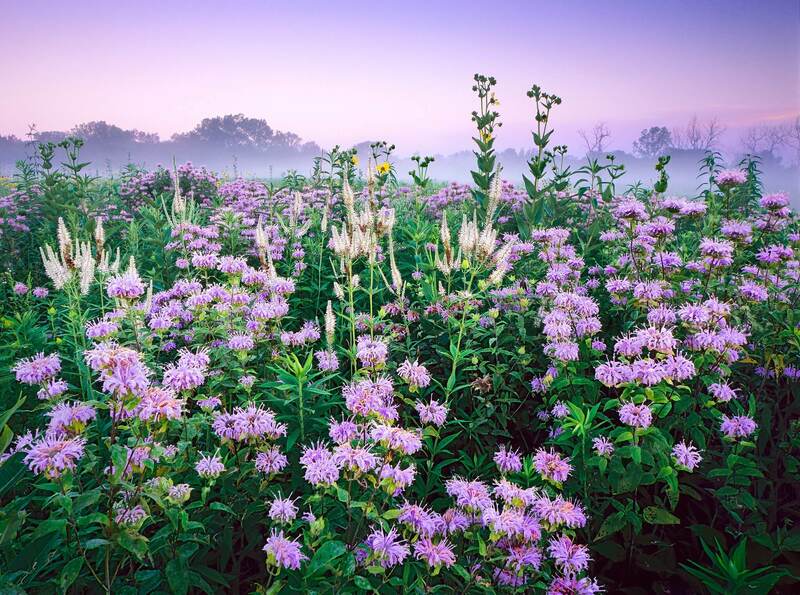 Mike MacDonald is an internationally-published professional nature photographer, specializing in the rich nature, wildlife, and landscapes of the immediate Chicago, Illinois area. His photographs have been published extensively in Chicago Wilderness Magazine along with how-to-articles in Petersen’s Photographic Magazine and the acclaimed Outdoor Photographer, not to mention BBC Garden’s Illustrated Magazine and others. To Mike, photography is not just about pretty pictures. Photography is about communication, telling a story, and education. He believes that photographs can change the world. Mike’s mission is to educate people about the natural wonders of the immediate Chicago area, which he powerfully conveys in his upcoming book and his collections of limited edition prints and note cards. As a seasoned professional entertainer, Mike also shares his passion and knowledge through inspiring public speaking performances. In additional to educating people about Chicago nature, Mike also offers a curriculum of photography classes that teaches the fundamentals of photography, while also helping students build their self-confidence. Mike’s exquisite collection of nature stock photos are intended for businesses and organizations that wish to communicate excellence. His grand and immersive style of photography features powerful perspectives that grab attention and draw viewers in. Browse the stock photography database or tell us what you’re looking for and we’ll help you find it. Subject matter includes Illinois and Chicago photos, big landscape images, sunrises and sunsets, wildflowers, prairie scenes, springtime woodlands, autumn leaves, and enchanted winter wonderlands.